The rules for Canada's notice-and-notice regime will change following the passing of C-86, the Budget Implementation Act. Moving forward, rightsholders will not be allowed to send copyright infringement notices for ISPs to pass onto their customers, if they contain a direct or indirect offer to settle. The development effectively ends Rightscorp-style business models in Canada. In several countries around the world, notably the United States, Canada, and the UK, rightsholders and their agents send copyright notices to alleged infringers. In most cases, recipients are accused of downloading and sharing copyright-infringing content using BitTorrent. The notices contain details of the alleged offense along with instructions to cease-and-desist. These notices, sent to Internet users’ ISPs, are regularly passed on to the subscriber. However, some companies targeting US and Canadian citizens augment their notices with text indicating that a cash settlement is required, ranging from just a few dollars to several hundred. Many users who see these demands pay up but these notices are unusual in that the original sender has no idea who the subscriber is. This means that some recipients ignore them, with no further consequences. 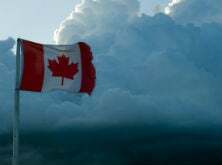 While the practice operates largely unhindered in the US, over in Canada (where there is a so-called notice-and-notice regime) there has been considerable opposition since its inception in 2015. ISPs, who have to bear the brunt of the administrative burden, have also cried foul, with TekSavvy recently describing the content of some notices as akin to “scams and spam“, with Bell noting that it would like to see an end to the copyright-notice settlement model. Back in October, it became clear that the ISPs and other opponents had strong government backing with the publication of a new bill that would prevent the activity from continuing. (d) any other information that may be prescribed by regulation. The text is pretty straightforward, in that it prohibits demands for settlement in the notices themselves or on a third-party site where such a demand may also be available. This is important since some notices contain hyperlinks that not only lead to demands for cash but also undermine subscriber privacy with the use of tracking code. The news was welcomed by Canadian law professor Michael Geist, who notes that notices that do not meet the new standards can be withheld by local ISPs without them facing penalties. However, Geist also cautions that the new amendments contain no punishments for anti-piracy companies that fail to follow the rules. “The key remaining question is whether ISPs will crackdown on non-compliant notices. Since there is no penalty associated with sending non-compliant notices, subscribers are dependent upon ISPs carefully reviewing notices to ensure that they only forward those that fully comply with the law,” Geist notes. Considering their earlier opposition, however, it seems unlikely that TekSavvy, Shaw, Rogers, and Bell will have many problems with withholding non-compliant notices.